The company is more planning to roll out Pie update to Redmi 6, Redmi 6A and Redmi Y2 devices. All the smartphones will retail at the discounted price only from February 6 - 8 at Flipkart, Amazon India and Xiaomi e-store. Xiaomi Redmi 6A was launched last year in India and till now was made available during flash sales. The phone comes with a price tag of Rs 6,999 and it goes on sale on Amazon starting from today at 4:00 PM. As a result of the price hike, the following Xiaomi products will now be available for adjusted prices, higher than their introductory prices. The new price scheme is underway and has been made effective from November 11 onwards across the Redmi 6, Redmi 6A, Mi TV 4A Pro, Mi TV 4C Pro and Mi Power Bank 2i. This simply means that users who want to buy the above-mentioned smartphones will not have to wait for flash sales now. The Redmi 6 is available for purchase from Flipkart, while the Redmi 6A and Redmi 6 Pro are available on Amazon. All the three models are available on the company’s official website as well. Amazon prime members living in Delhi NCR, Mumbai, Bengaluru and Hyderabad can enjoy ultra-fast delivery in 2-hours on popular deals. The company has partnered with ICICI and Citibank to offer an extra 10 percent cashback, No-cost EMI on Bajaj Finserv EMI card and Debit & Credit cards and free of cost installation. The smartphone will be available on Flipkart for sale. 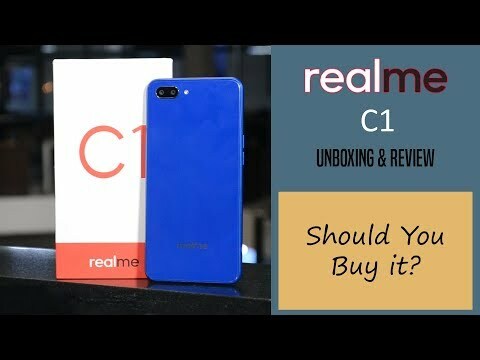 The Realme C1 is Realme’s answer to the Redmi 6A which was recently launched by Xiaomi for the precisely the same price - Rs 6,999. With a Snapdragon processor, a large battery and a unique-looking notched screen, does the Realme C1 have all it takes to match up to the Redmi 6A? Lenovo A5 Review: Is it worth buying? Will Lenovo A5 be enough to make a long-lasting impression on the customers and match the existing smartphones? Let’s find out. With this, the brand is trying to make its presence felt in the budget segment. We got the chance to spend a couple of days with the Lenovo A5 and this is what we think of it. Both of them shares a similar design language and most of the specifications largely remain similar if not equal. We got the chance to spent some time with the device and this is what we think of it. Xiaomi has revealed a list of 10 smartphones that will soon get Google’s latest mobile OS - Android 9 Pie. With this development, Xiaomi will have the most number of devices running Android Pie amongst any smartphone manufacturer. The Redmi 6A features a 5.45-inch HD+ IPS LCD display sporting a screen resolution of 720×1440 pixels and an aspect ratio of 18:9. It runs on the Android 8.1 Oreo and comes packed with 3000mAh battery.